The best way to start a day off right, and enjoy the beautiful morning, is to wake up at the Periwinkle Inn, one of the best hotels in Cape May, NJ. Right from your bed, you can enjoy listening to ocean waves break against the oceanfront, catch a glimpse of the morning’s first sunray and drink a cup of coffee. Guests consider Periwinkle Inn to be one of the best luxury hotels because every single morning can begin like this. Every day is another day in Paradise! Why would people consider Periwinkle Inn one of the best hotels in Cape May, NJ? If you’ve ever stayed at Periwinkle Inn, you already know the answer to this and are probably beginning to plan your next stay. If you are deciding on which luxury hotels to stay in while visiting Cape May, we ask you to imagine a few things. Imagine, beautiful, sandy beaches waiting for you, just steps away from the hotel. Imagine spending an afternoon on the beach, watching banner planes fly across the sky, while dolphins frolic offshore in the very near distance. 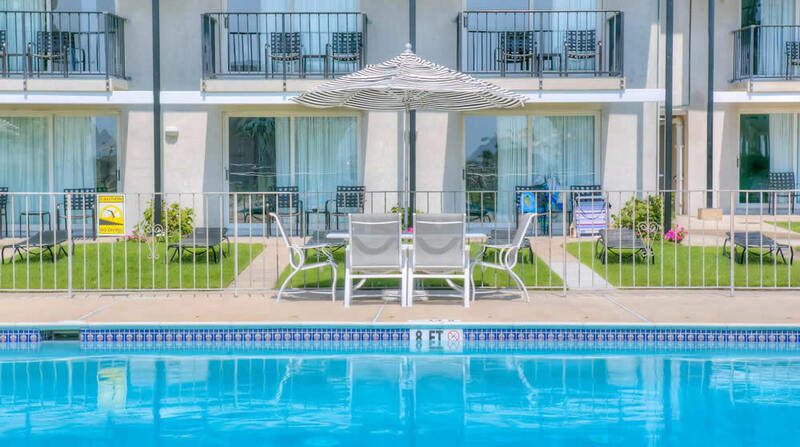 Your imagination of the perfect vacation can be realized by choosing Periwinkle Inn. Periwinkle Inn is considered among the top luxury hotels in Cape May because it is the ideal spot for a romantic getaway with a loved one or family vacation. The spectacular beachfront location and fun, family-friendly atmosphere makes guests come back for more each year. Periwinkle Hotel has become a destination spot for many traveling from all over the country. What else does everyone want in a great vacation spot? How about delicious, high-quality food? Enjoy eating at several of Cape May’s very own restaurants, all of which are walking distance from the hotel. After enjoying a tasty breakfast, lunch, or dinner, you can also visit local attractions including popular retail stores, trolley tours and more. Can you think of any other luxury hotels in Cape May that can offer all of these exciting, adventurous events? If you are ready to experience the vacation of a lifetime, than make a reservation today to stay at one of the best hotels in Cape May, NJ. You can thank us later! Sun, fun and lifelong memories await your arrival!